Help provide a better life for elephants in Surin by becoming an elephant sanctuary volunteer. 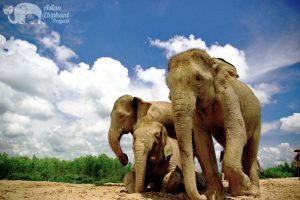 The Surin Project was created to improve the lives of elephants by promoting sustainable elephant tourism in the village of Baan Tha Klang, Northeast Thailand. There are presently over 300 elephants registered in Surin Province; many living a difficult and unnatural life. 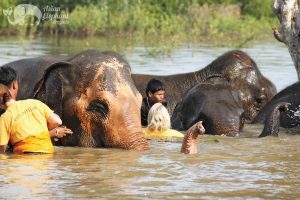 As a result of this project, elephants whose lives once revolved around performing in shows, taking people on rides, and begging on the streets are now able to spend their days in more natural surroundings – socializing, feeding, cooling off in the river, and just being elephants. 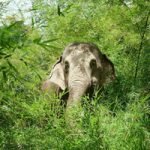 The project offers mahouts who own elephants an alternative to making a living from subjecting their elephants to performing tricks in shows and elephant riding. 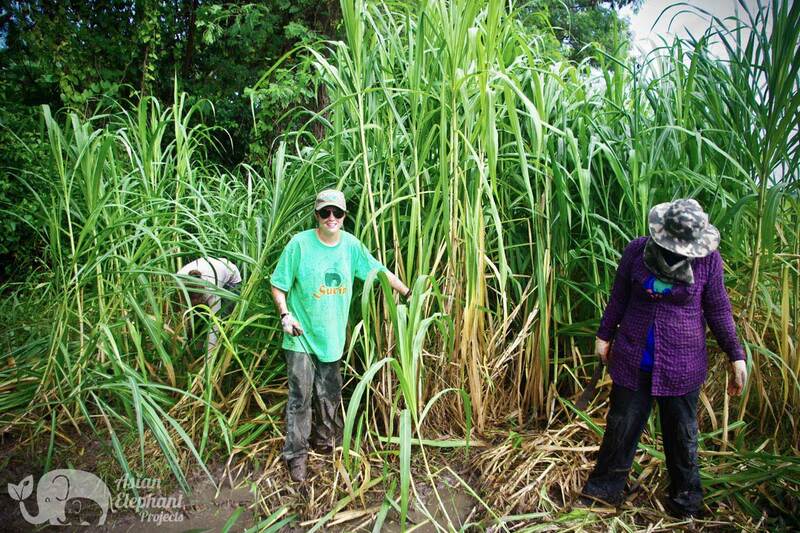 Now they can provide an income for their families and elephants through our ethical volunteer program. 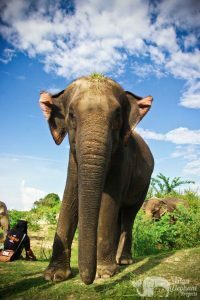 Volunteers who visit the project for a week have the opportunity to experience rural life in Thailand and get to know the Kuy people (also known as Guay), whose relationship with elephants is centuries old. 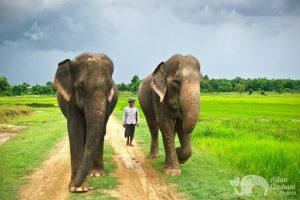 You will also spend meaningful time with the elephants, walking alongside them through the fields, bathing them in the lake, and watching them play in the mud. 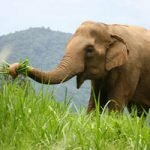 In turn, the elephants are directly benefited by volunteers planting grass, trees, and other vegetation, as well as building shelters. 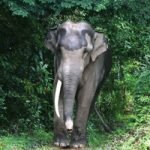 It is hoped that by taking part in progressive elephant tourism and interacting with foreigners who are interested in the welfare of elephants, mahouts and locals will be encouraged to view elephants with greater empathy and recognize that there is a demand for programs that treat elephants with compassion. The Surin Project is also a great chance to meet like-minded people from around the globe who care about elephants. Start: Monday – 2:00pm pickup from Buriram Bus Terminal – MAP – where you will join with volunteers coming from Bangkok and travel together to the project by air-con minivan. Traveling from Bangkok: Our guide will meet you at the Northern Mo Chit Bus Terminal – MAP – at 7:30am on Monday morning, on the 3rd floor in front of Dunkin Donuts (not the booth). You will travel by VIP air-con bus to Buriram for an additional cost of 500 THB. 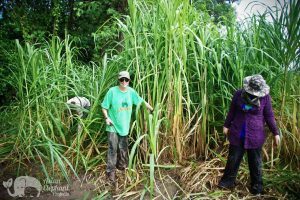 Traveling from NE Thailand / Cambodia: For volunteers already in NE Thailand or traveling from Cambodia, it can be more convenient to travel to Baan Tha Klang via bus from Surin City Bus Station. Please contact our staff for more details if you wish to make your own travel arrangements as you will need to arrive at the project on Monday no later than 3 pm. Travel Time: Around 60 min from Buriram to the project. Return: Depending on your next destination, you can leave the project on Saturday evening or Sunday morning. If traveling to Chiang Mai you will leave on Saturday night and arrive in Chiang Mai around 10 am on Sunday. Transportation back to Bangkok is available, arriving at about 3 pm on Sunday. Other ongoing transportation can be arranged while you are at the project. Duration: 1-8 weeks. Volunteer positions start on Monday. 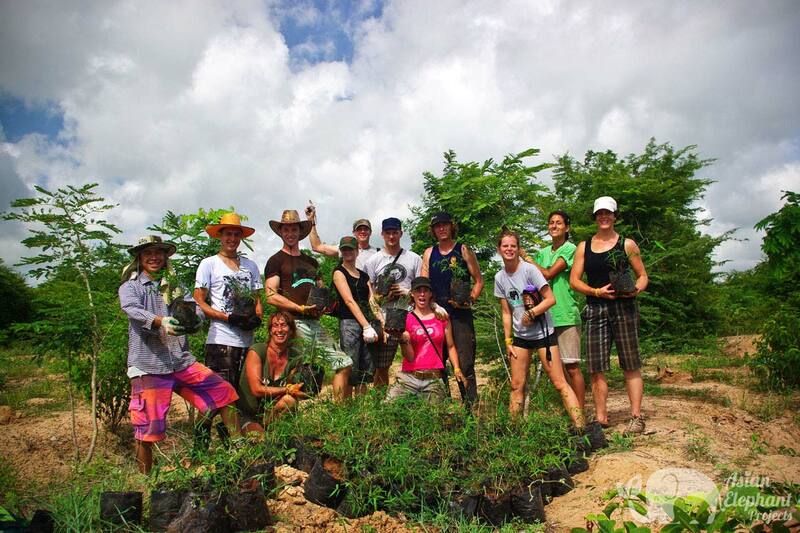 The initial maximum 8 week volunteer period may be extended depending on availability and suitability. 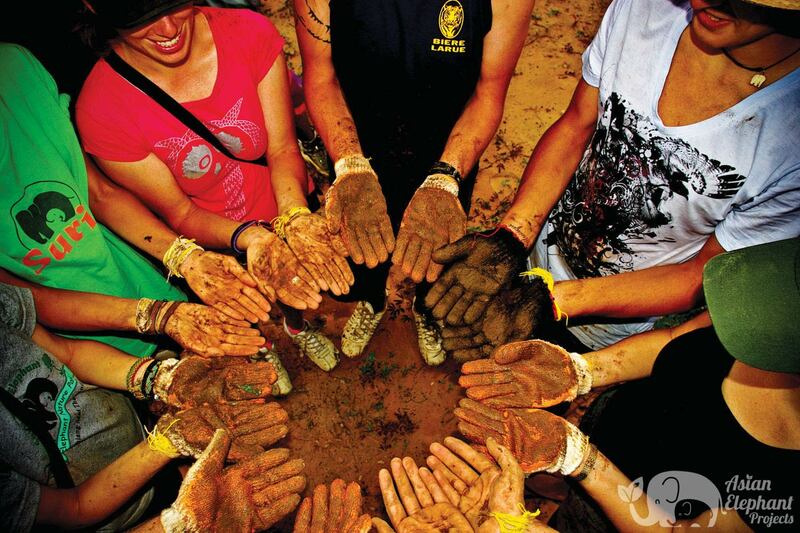 Accommodation: Volunteers stay in basic but comfortable on-site in homestay, same gender, shared accommodation. Food: Volunteers enjoy a healthy and varied buffet style breakfast, lunch and dinner with many interesting dishes to choose from – vegetarian and vegan food is always available. Baggage / Luggage Allowance: One standard check-in sized rucksack / suitcase / bag & one day pack per person. Essential Items: change of clothes for 7 days, long pants and long-sleeve shirts, sandals/flip flops, walking shoes, socks, towel, personal toiletries, sunscreen, insect repellent, flashlight, earplugs, alarm clock, basic first aid kit, personal medication. Seasonal Gear: poncho / rainwear (Rainy Season: June – October), warm clothing, long sleeves, sweat pants, jumper (Cool Season: November – February can get quite cold at night). Recommended: camera, reading material, travel games, small day pack, gardening gloves, wide brimmed hat – we can provide gloves and hats on site if you do not have these items. If you would like to bring items for the local school students such as pens, coloring pencils, notebooks, games, toys, etc. they will be much appreciated. Travel Insurance: Volunteers are required to have travel insurance covering medical expenses and emergency repatriation. Vaccinations: Please contact your doctor or a vaccination center for details on recommended vaccinations. Age Suitability: Adults & teenagers over 16 (participants younger than 18 years of age must be accompanied by a legal guardian). Fitness Level: Moderate – daily walks through the fields and forest. Topography: Grasslands, fields, & forest. 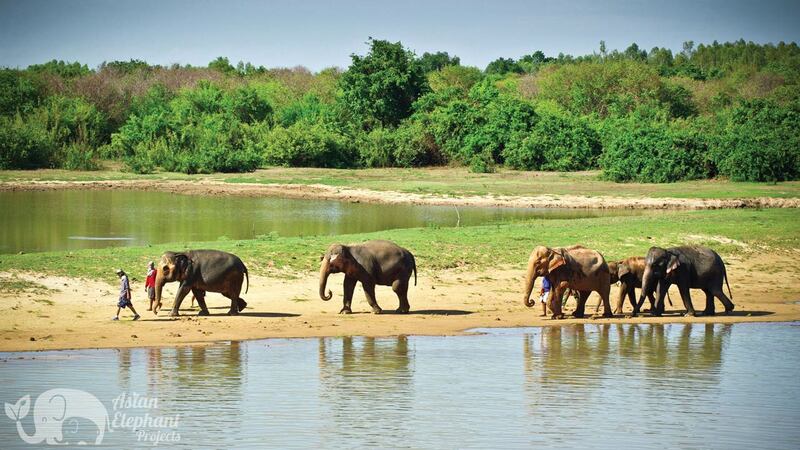 Location: Baan Tha Klang, Surin Province, Northeastern Thailand (near the Cambodian border). Visa Requirements: Thailand currently offers a 30 day visa on arrival for most countries (please check). The 30 days on arrival visa can be extended for an additional 7 days at Thai immigration. If you plan on staying longer than this you should apply for a 60 day Thai tourist visa before entering the country, which can be extended by an additional 30 days at Thai immigration for a fee of 1900 baht. Overstaying your visa in Thailand is taken seriously by immigration and we strongly recommend against this. Booking Details: Bookings close 3 days before you are due to visit. When booking online a 30% non-refundable deposit is required to secure your booking. The balance can be paid in Thai baht at the project in Surin on Monday afternoon. On arrival at the project you will be required to complete an insurance form and provide a copy of your passport. For this volunteer project we do not offer a pickup from your hotel / guest house. On the reservation form under Name of Hotel / Guesthouse & Hotel Address, please indicate if you would like to join the group in Bangkok, be picked up at Buriram Bus Terminal, or make your own travel arrangements to the project. The land is government owned, so our ability to build new structures is limited. 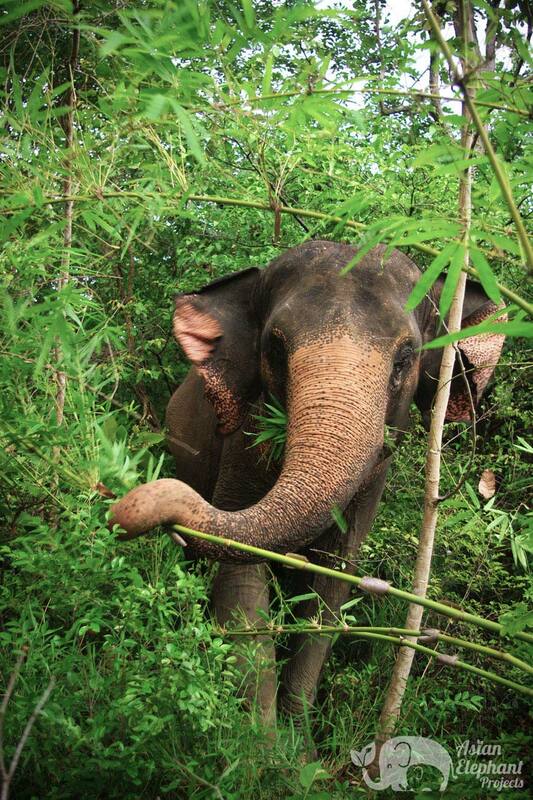 The Surin Project does not own or buy any elephants. The elephants are owned by their mahouts, so how they are treated is ultimately beyond our control. 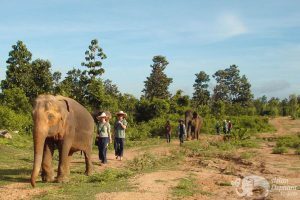 The mahouts who join the project agree to leave their bullhooks at home and to take part in activities sanctioned by the project. 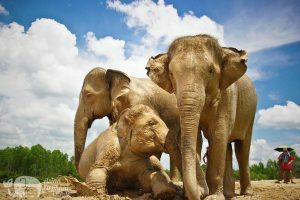 However, they are free to leave at any time with their elephant. 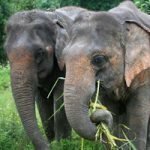 It's up to us to provide them with enough incentive to commit to the project and support our concept of putting the well-being of the elephants first. Your participation as a volunteer is key to making this happen. There can be between 150-200 elephants living at the Study Centre. 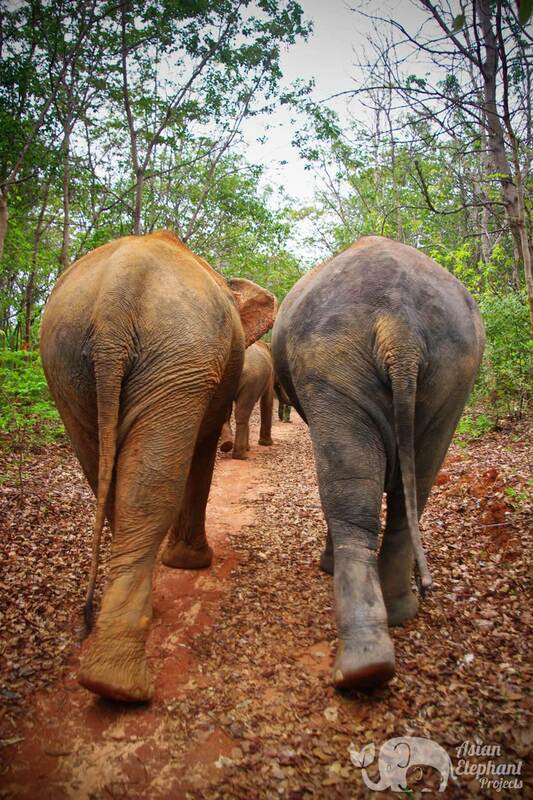 The Surin Project can only support up to 10 elephants at a time. 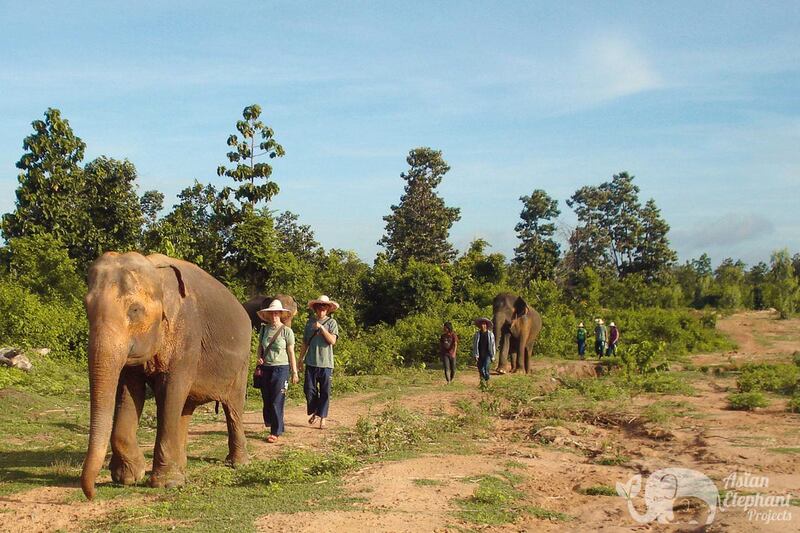 Elephants who are not members of the Surin Project can be kept on chains for most of the day with little or no shade. Many elephants show signs of stress such as rocking, swaying, and pacing. This is known as stereotypical behavior. 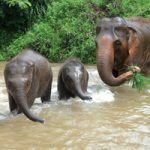 Many of the elephants in the area are used in other forms of tourism such as local elephant shows and elephant riding, which we do not support. 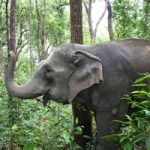 Volunteers may be exposed to a certain amount of elephant suffering during their stay and may witness the use of the bullhook, which many mahouts in the area still use to control their elephants. This is a small ‘Saddle Off!’ volunteer project with a limited number of guests. Our model is based on ensuring the well-being of the elephants, which means no riding or other unnatural activities.